Shabak announces capture of terrorist who murdered IDF soldier Ronen Lubarsky. Shabak (Israel Security Agency) announced the arrest of Islaam Yousef Abu Hamid, the Ramallah terrorist who murdered IDF Sergeant Ronen Lubarsky, 20, last month. 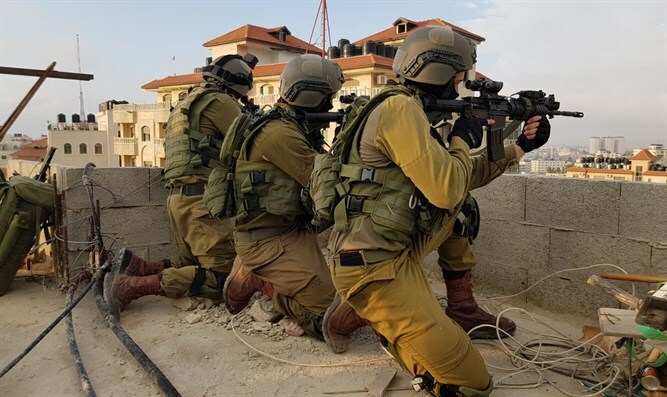 The attack occurred during a routine military operation on the outskirts of Ramallah, when Lubarsky's unit arrested members of a terror cell known to have carried out shooting attacks against civilians in Judea and Samaria. After committing his crime, Abu Hamid fled the scene, and Israeli authorities began a search for him. During the investigation, it became clear that Abu Hamid, 32, had thrown a marble block on Lubarsky's head, crushing his helmet and causing the severe injuries which led to his death a short time later. Abu Hamid was imprisoned in 2004 for terror activities, including a shooting attack, which he carried out as a member of Hamas. He was released from prison in 2009. Abu Hamid's brothers are Hamas terrorists, and in the past have killed Israelis in terror attacks. Among those killed by Abu Hamid's brothers was Shabak coordinator Noam Cohen. The interrogation is still ongoing, and additional details are under gag order.